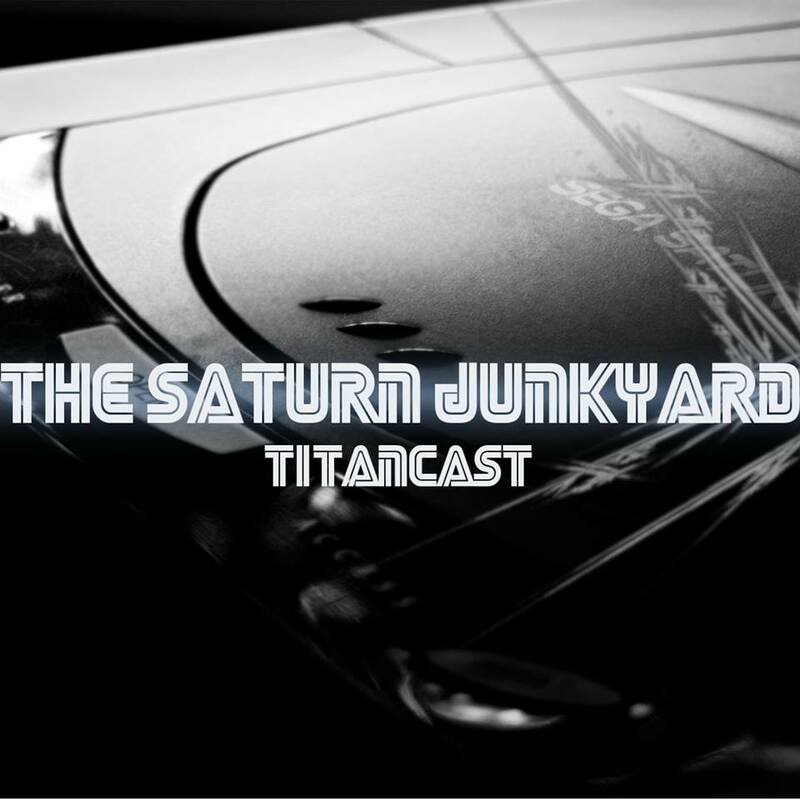 The Saturn Junkyard: Good Saturn Promos and other minor stuff. 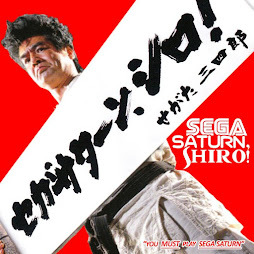 See even the Japanese Saturn commericals that DIDN'T feature Sagata Sanshiro were better than the Europe and North American ones! Anyone hear anything new on this? Is NiGHTS simply going to show up on the virtual console on day? 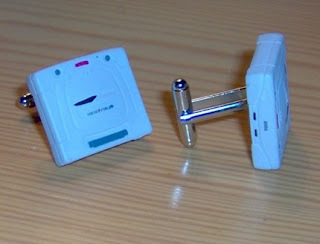 Also do Sega Saturn cufflinks go too far? No Sega Saturn cuff links are exactly what I would want if I was ever to slip into formal attire... I'm guessing they're Japanese! I had heard these rumours before but it was good to re-read them. At the end of the day there are three factors that make me think Saturn Games are going to re-appear in one form or other. 1.) If there is one thing Sega loves to do it's whore it's back catalogue. 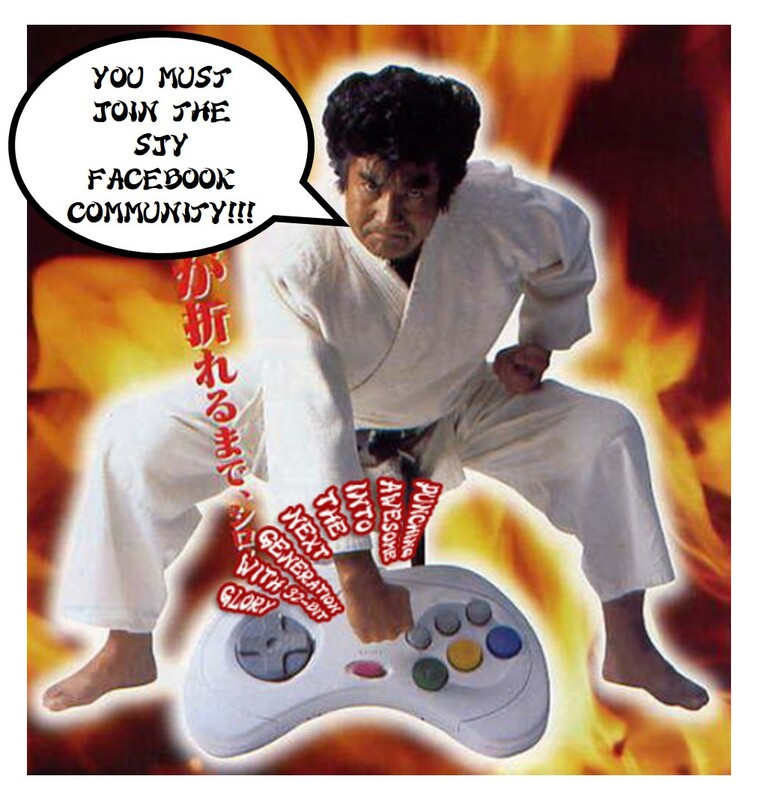 You'll see their past glories popping up on all manner of consoles, phones, plug and play, internet game sites and so on. I recently sent my good friend Deitrix (who lives in Illinois) a copy of the Dreamcast classic HOTD2, (ported for PC play) which I picked up for £1! 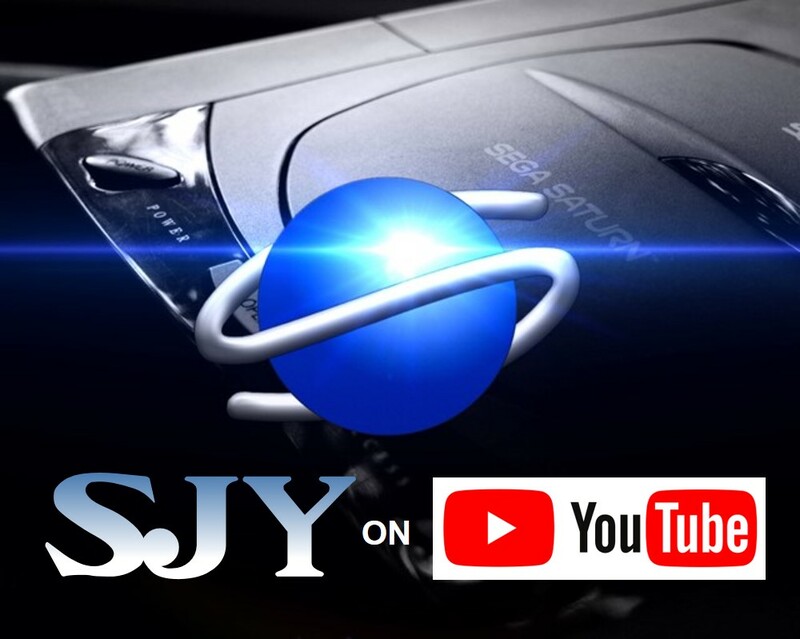 BTW Do you like the new features of the SJY? let me know! great promo..... but those cufflinks are so beautifulllllll!!!!! 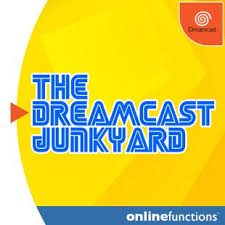 This is crap, I cant believe the Saturn gets all the cool stuff, why dint the dreamcast get this? All we got was a watch I think. 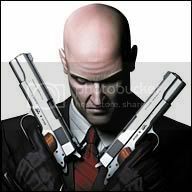 I mean FatherKrishna kn ows all the other promo thins out there but the dreamcast deserves some tie tacs and a chain. and excuse me if this sounds craqzy im drunk!!! I'd say the cufflinks are too far yes. Even Yuji Naka wouldn't be caught dead in those. As for NiGHTS for the virtual console, I'd say it's a possibility. Saturn games for the Virtual console would be terrific, but Nintendo would have to definitely look into releasing an external hard-drive for Wii.